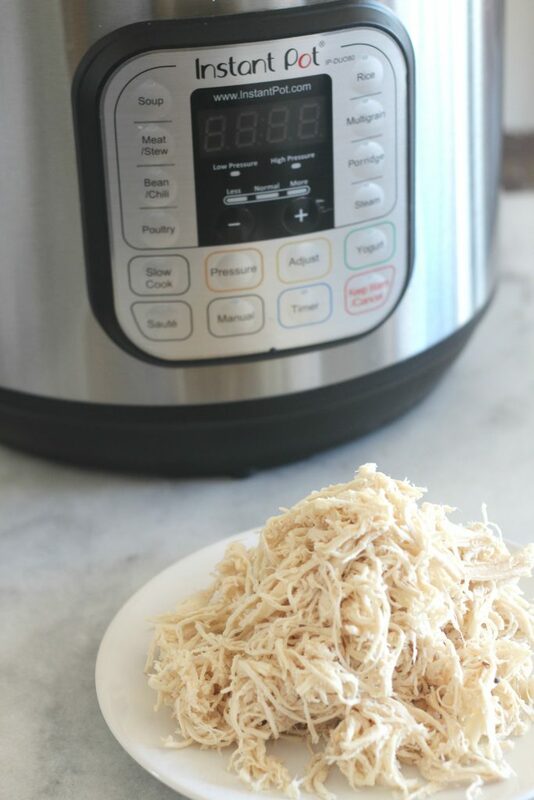 Cook frozen chicken breasts in the Instant Pot in 40 minutes. This method is perfect for food prep and an easy dinner solution. I can’t even count how many times I’ve been ready to cook dinner to find that I either forgot to pull out the chicken breasts to thaw, or I didn’t pull them out early enough and they are still halfway frozen in the fridge. It seems that moving the breasts from the freezer to the fridge ahead of time is an extra step that I just couldn’t master. But then I received an Instant Pot. It was an early Christmas gift from my mom, and I really wasn’t sure I wanted it. It’s big and my home is small. Plus, it’s a little intimidating. I mean it uses pressure. I could possibly blow the house up, right? I think it would take a little work to blow up the house, and honestly I’m not interested in learning how. 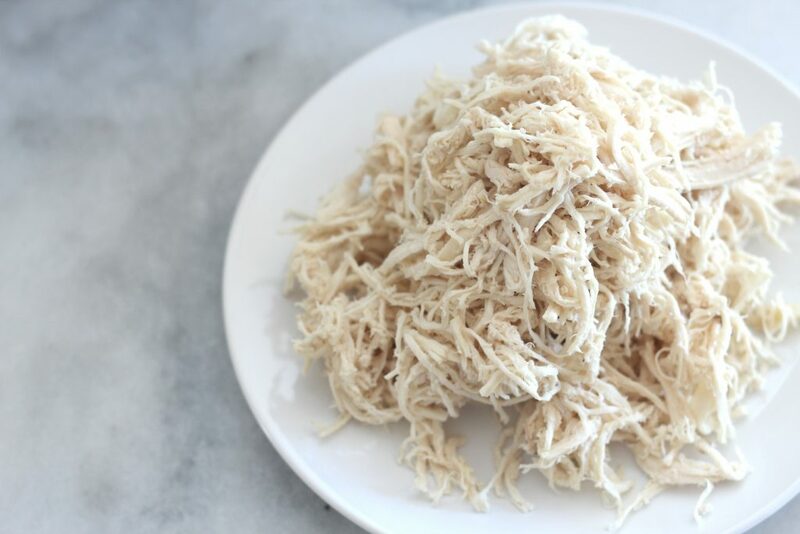 Want to make shredded chicken the old fashioned way? Then check out Slow Cooker Chicken Breasts – Plain and Simple. I don’t want to be all extra and say that the Instant Pot was a game changer, but it kind of was, a little. I mean I now can get chicken breasts frozen to cooked in 40 minutes. That’s big. I prepare four large breasts at a time. Just put them in the Instant Pot and pour in a cup of chicken stock or water. If I don’t have freshly made chicken stock available, I use this Better Than Bouillon Chicken Base that I absolutely love. If you want to add some seasoning, like taco seasoning or something, I would stir it into the broth or water first. After adding the broth, lock the lid in place. Make sure the steam vent is in the sealing position. Press manual and set the timer for 12 minutes. It should default to ‘high pressure’ but double check to make sure it does. Then just walk away. It seems to take about 20 minutes to get up to it’s pressure, sometimes less. It will beep when it’s all done. I let the pressure naturally release for 5 – 10 minutes, then switch the vent to quick release. Always be careful when removing the top, that water is hot and the drips burn, I learned that the hard way! Don’t be too weirded out if there are little balls of fat on the cooked chicken breast. I just scrape them off, although they do kind of gross me out. Lastly, I always shred my chicken breasts while they are still hot to make it easy for putting on salads, in buffalo chicken dip or for general food prep. I add about a half cup of the liquid the chicken was cooked in to the breasts before I shred them with a hand mixer. I also cut up the breast a bit before shredding them, so that the pieces aren’t quite as long. This helps keep the shredded chicken moist. 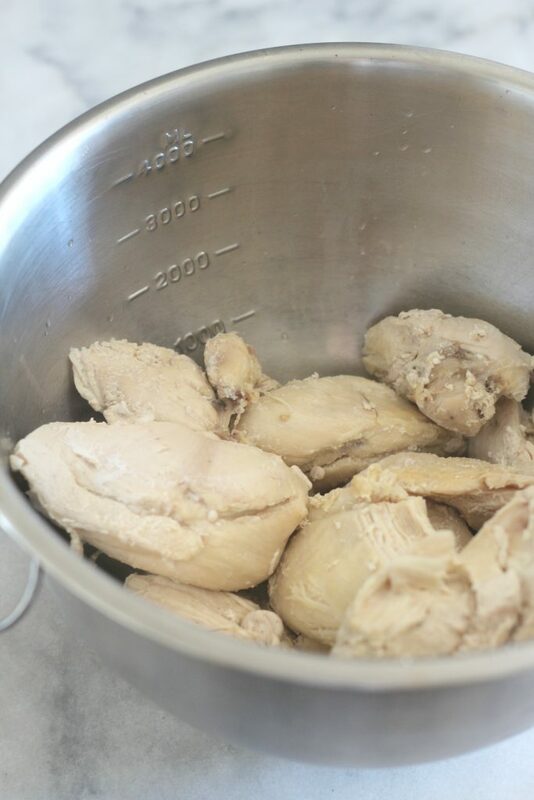 That’s how I make my frozen chicken breasts in the Instant Pot! 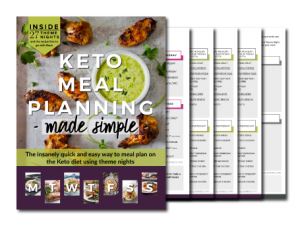 So I need more low carb Instant Pot recipes! In the comments, tell me your favorite! 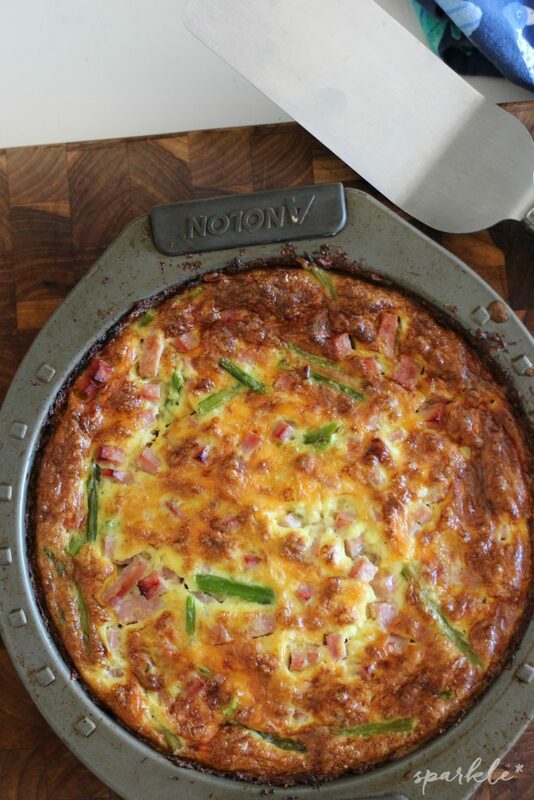 I pinned this recipe, it will come in handy! Hope you are having a great weekend and thanks so much for sharing your great post with us at Full Plate Thursday! 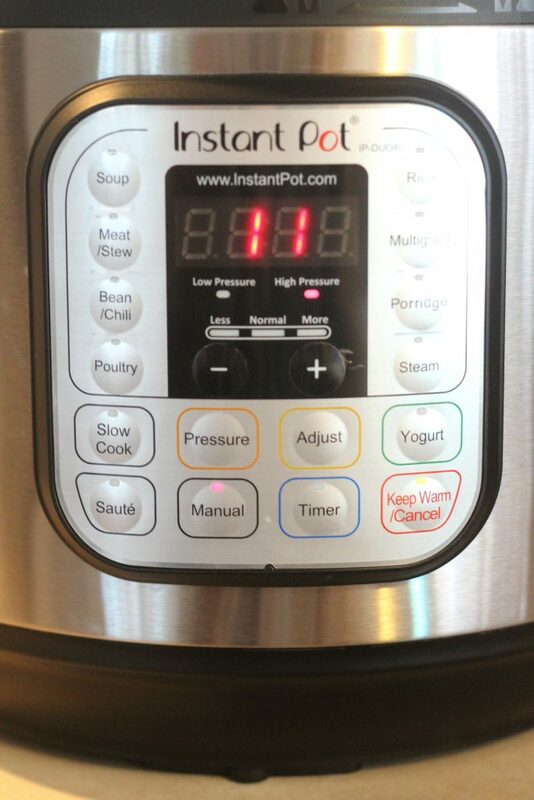 I have heard a lot about Instant Pots but didn’t understand why everyone loves them. This seems like an easy way to cook chicken breasts especially when they’re frozen. Thanks for sharing with us at the Welcome Spring linky party! Pinned. 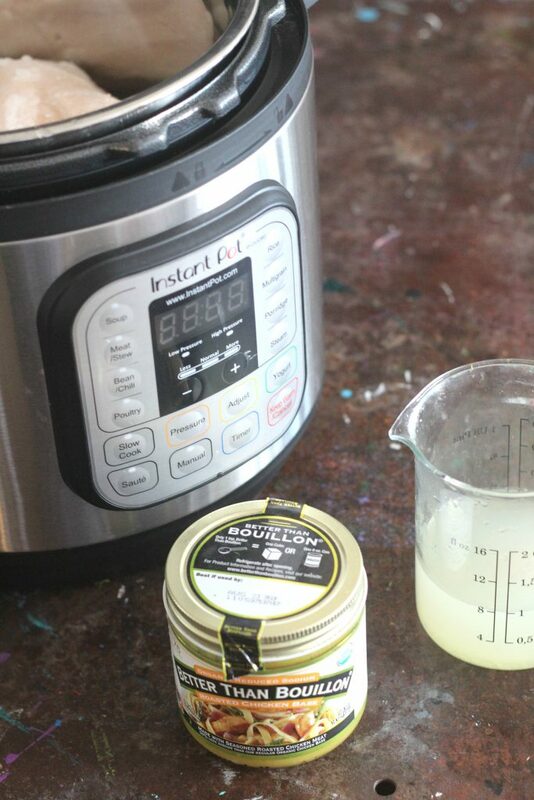 Instant Pot makes cooking so much more convenient. I haven’t tried making chicken breasts from frozen, but now that I know it’s possible, I will have to do it. Thanks for the instructions! Stopping by from the #HomeMattersParty linky.